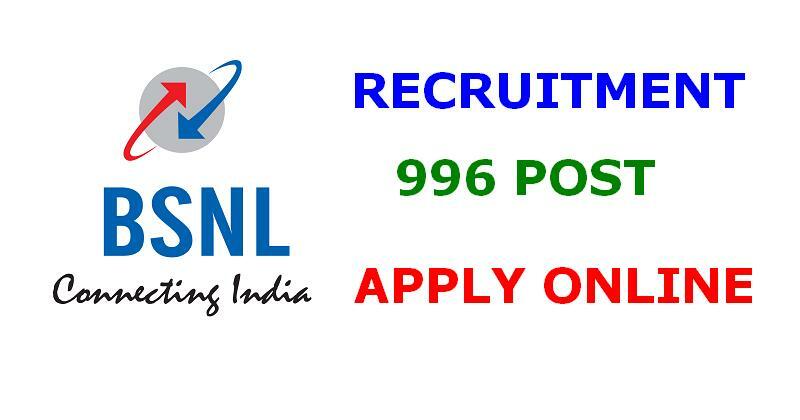 Bharat Sanchar Nigam Limited (BSNL) has published Advertisement for below mentioned Posts 2017. Other details like age limit, educational qualification, selection process, application fee and how to apply are given below. Educational Qualification: M.COM / CA / ICWA / CS from a recognised Institution/University (as on 1st Jan 2017 as per Recruitment Rule of BSNL). Age Limit: Candidate shall not be below 20 years and shall not exceed 30 years as on 1st Jan 2017 (as per recruitment rule of BSNL) However, the upper age limit relaxation is as per the standing instructions of Government of India. Application Fees: The online registration shall commence from 11-09-2017 and shall close on 15-10-2017. The prescribed examination fee of Rs.1000/- (Rupees One thousand only) for OC/OBC candidates and of `500/- (Rupees Five Hundred only) for SC/ST candidates shall be paid through online mode i.e. Internet Banking, Credit Card, Debit Card only. Selection Process: Candidates will be selected based on an Online Competitive Exam.